Is it me, or is this summer hotter than ever? Not that I’m complaining! 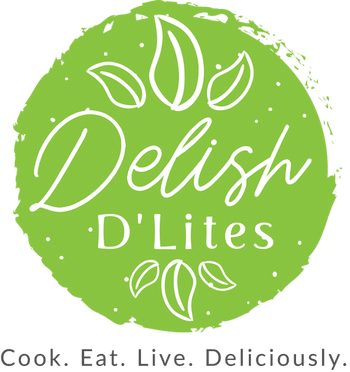 Here in the Northeast, summers are short and sweet and winters are outrageously long, so I’ll enjoy every opportunity I can spend outdoors with friends and family, relaxing in the shade, while sipping on something refreshing. Something that’s always in my wine cabinet are a few varieties of Sutter Home wine. It’s the perfect wine to bring people together and make them feel at home. Sutter Home’s 65 year history of providing award-winning California wines at affordable prices gives new wine users the confidence that every bottle of Sutter Home will deliver consistent product quality and superior value. Sutter Home wine truly offers something for everyone, with so many different varietals. 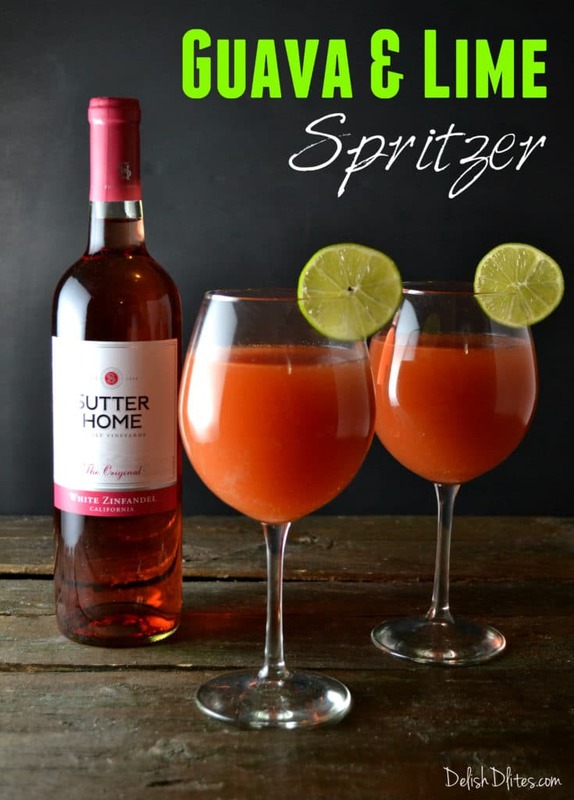 My latest obsession is this Guava Lime Spritzer featuring Sutter Home White Zinfandel. Guava are a delicious fruit whose juice has, on occasion, been referred to as ‘the nectar of the gods. 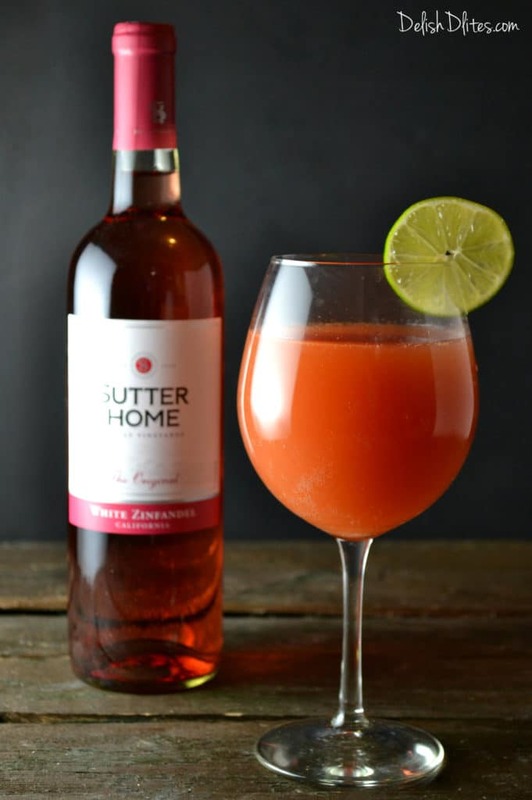 It’s thick, velvety, sweet, and perfectly balanced by the addition of Sutter Home White Zinfandel. This tropical twist on a classic wine spritzer also features guava nectar, lime juice and club soda, and it’s perfectly balanced and refreshing. 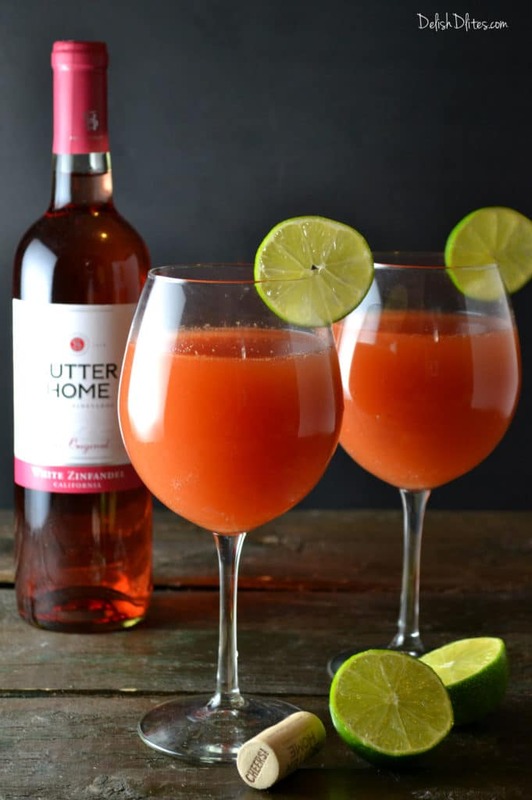 Make this wine cocktail next time you’re craving a wine spritzer with a Latin flair. 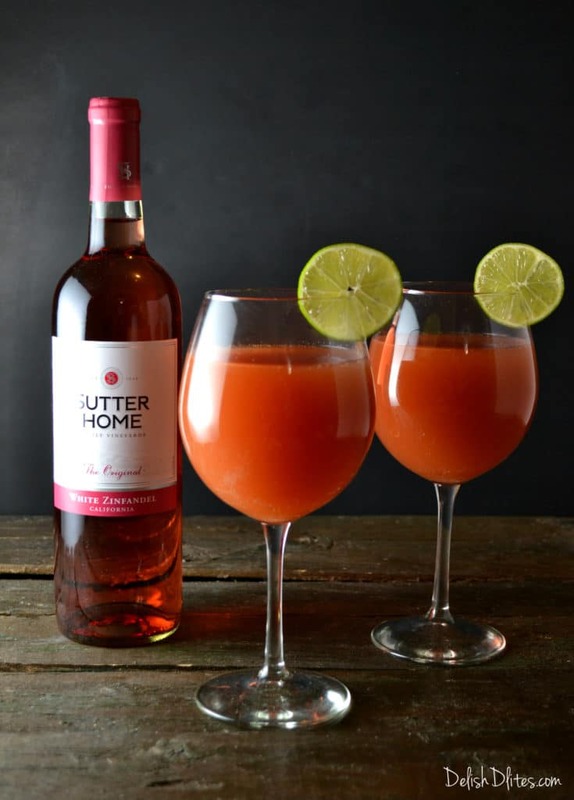 Combine the Sutter Home White Zinfandel, guava nectar, club soda and lime juice. 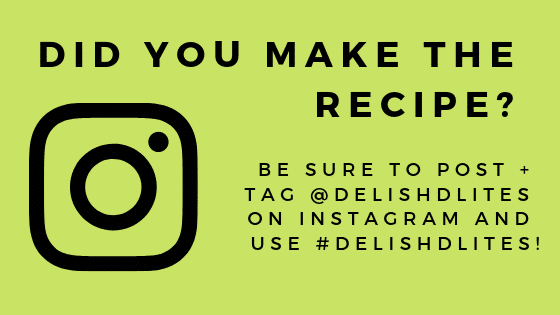 Stir to combine and serve immediately. Celebrate the summer with Sutter Home Wines and uncork more moments of fun at UncorkTheMoments.com! This cocktail sounds delicious. The guava and wine balance sweet and dry nicely.